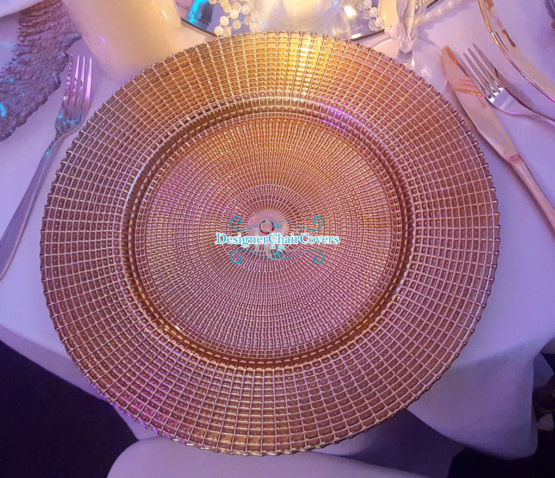 Gold Patterned charger plates- Textured with a beautiful pattern. Create the perfect table setting with our unique charger plates. These are large and proud buckles which really add a statement to the chairs and the room as a whole. 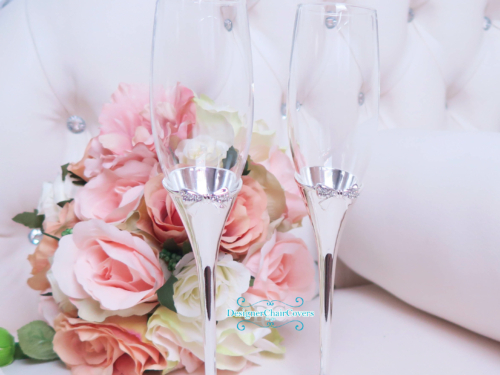 Tied with organza, taffeta these look fabulous for a nice sparkle wedding. For more information just get in touch today and we will be happy to help! 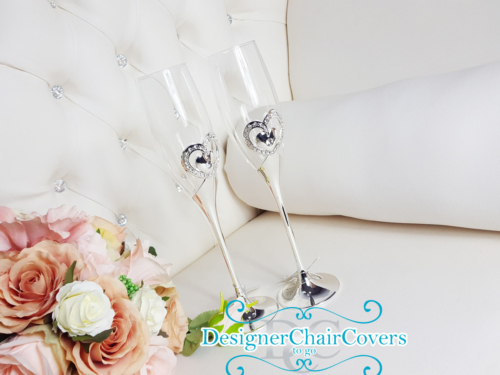 The crystal buckles are an optional extra which we provide for weddings and events that hire our chair covers or sashes. The buckles are carefully knotted into the bow and look like this!